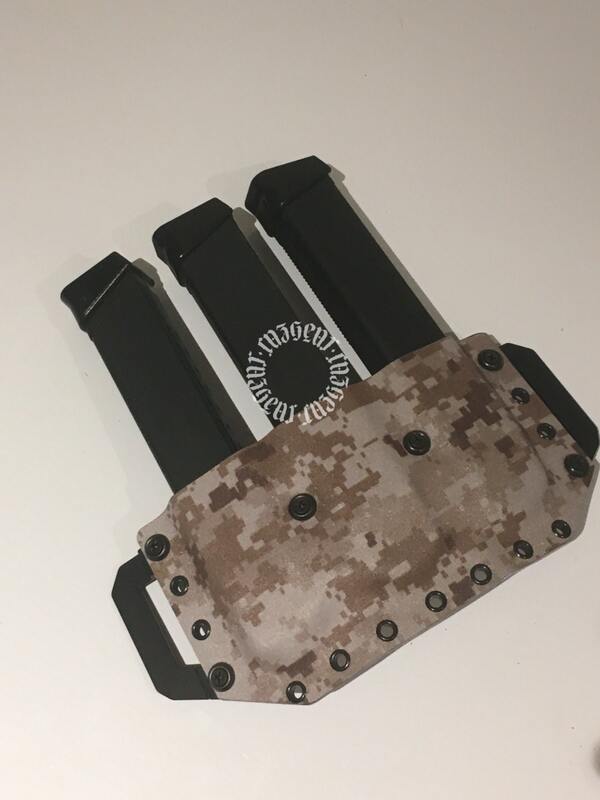 Quadruple Kriss Vector Mag Pouch in USMC Digital Kydex. Fits outside the waistband, left carry. 1.75 inch closed belt loops. 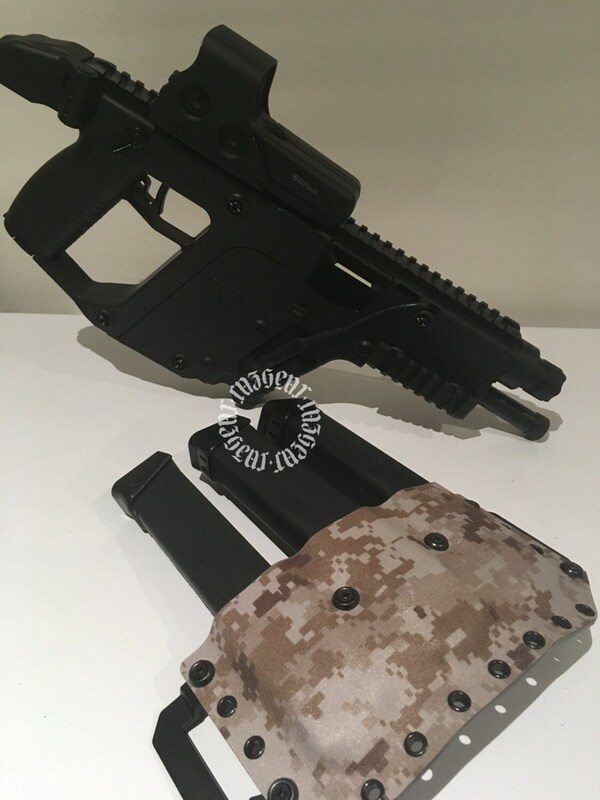 Fits both Glock 21 extended mags or Kriss Vector proprietary mags. Beautiful craftsmanship! Fits mags nice and snug!